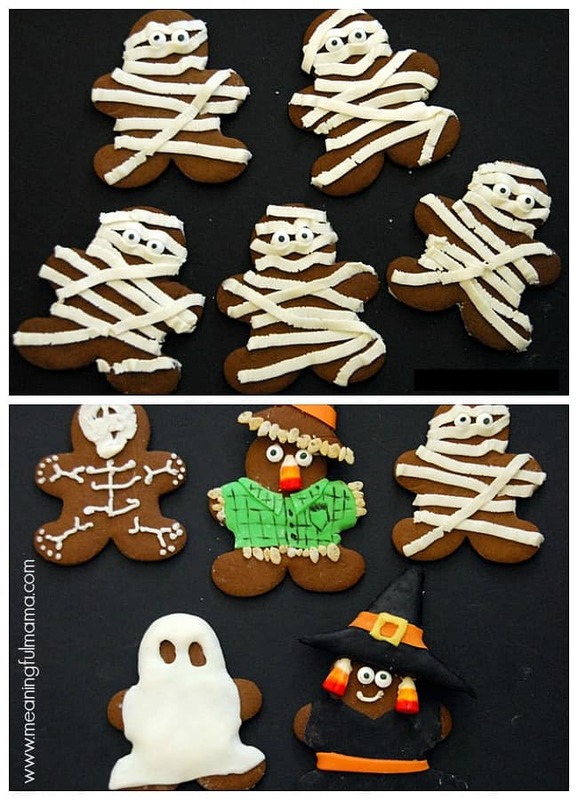 These Halloween Gingerbread Cookie Mummies and more will be a fun delight this Halloween season. I did the mummies and the “and more” come when I thought about doing the scarecrow, skeleton, witch, and ghost. If you are looking for more fun Halloween treat ideas, you should check out my monster caramel apples, bat Oreos, satsuma jack-o-lanterns, and spider lollipops. 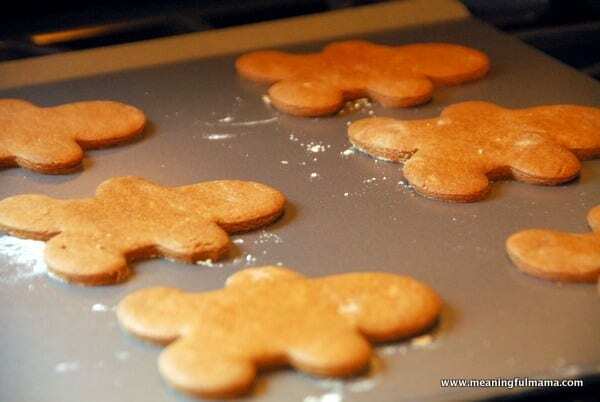 I went to make my gingerbread cookie recipe, and something seemed wrong. I didn’t see any flour in the recipe. That couldn’t be right. I knew I had made these every Christmas, but the recipe didn’t make sense. So, I went searching for another recipe online. I ended up reading great reviews for the recipe I found on Food Network, so I decided to try it. I loved it. I decided to pass it along to you. Just click on the Food Network link above. Later, I looked at my recipe one more time and saw that flour was written within the body of one of the paragraphs. Oh well. I found a great recipe in the process. As I was cutting out the gingerbread, I suddenly imagined making all kinds of gingerbread Halloween character, so I cut out a couple hats for the scarecrow and witch. The clothes for them as well as the ghost were made from fondant. 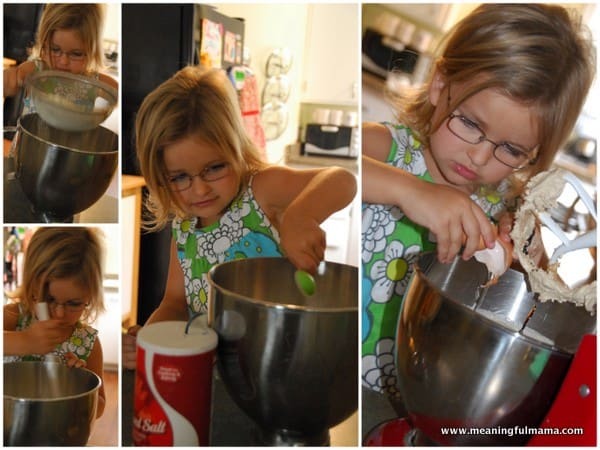 What good baking session doesn’t end with a kid in the sink? My daughter is potty trained. She has been for a while. I don’t know if she got caught up in making cookies or felt the warm water as she washed her hands after helping, but we ended up with pee everywhere. Just needed to bring in some of the realities of parenting. Love the cookies! My kids have the Thursday and Friday off after Halloween since they go to Catholic school. I think we’ll make cookies as a family project. I’ve done pretty well with Martha Stewart’s gingerbread cookie recipe. However, it’s not online, only in one of her Christmas books. My recently potty-trained 4 year old has been “forgetting” a bit this week. It happens. Sometimes they just get so wrapped up in what’s going on.